The Gracie Rock Resource Centre was officially inaugurated at 10 am on Sunday 3rd July 2011 in Gracie Rock Village, Belize District. 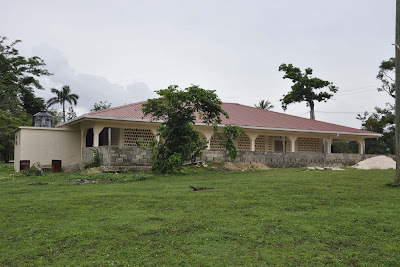 The Centre is part of a project being implemented by the Social Investment Fund (S.I.F) that aims to strengthen the capacity of some 174 Gracie Rock Village residents to increase their income from tourism, recreational activities and other local resources in the area. 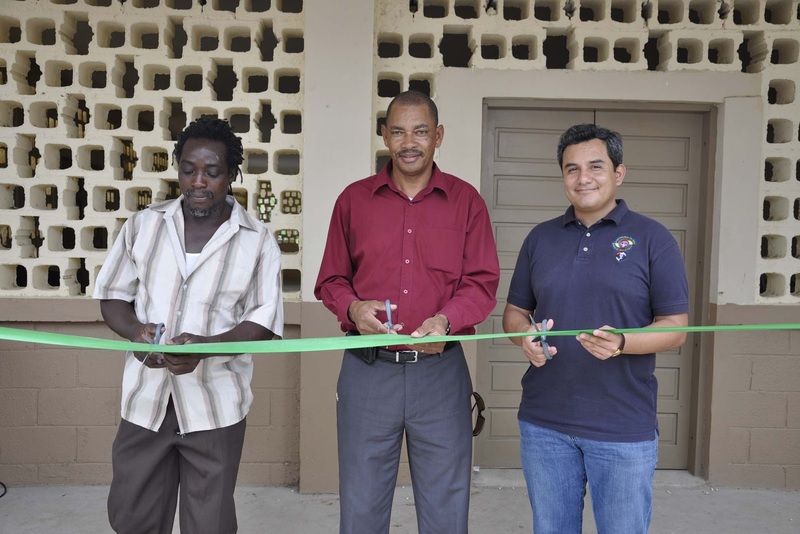 Under the project, the village’s community centre was upgraded into a resource centre at an approximate cost of $190,000. The rehabilitation of the centre was financed by the Government of Belize through a loan from the Caribbean Development Bank (CDB). A second phase of the project is to be considered to equip the improved facility with computers with access to the internet. The work scope included the replacement of the roof and ceiling, the installation of new doors and windows, repairs to the rear, western and front verandahs, the kitchen and the bar; installation of tiles, new bathrooms, rewiring of the electrical system, painting of the entire building, repairs to the septic tank and soak away and the supply and installation of a submersible pump in the Sibun River and installation of a pipe transmission line to a rotoplast tank, which will supply the resource centre with water all year round. Gracie Rock is a small scenic village located on the banks of the Sibun River near the Pecarry Hills of Belize. While the villagers have traditionally hunted and lived off the land, with the advent of cruise tourism in the Belize District, many villagers have gotten involved in alternative livelihoods such as tour guiding, handicraft and catering to visitors at the main tourist attractions in the village, namely Pecarry Park and the sandy banks of the Sibun River, which is a popular swimming spot. Many of the villagers depend on subsistence farming, livestock and sand mining from the river. Villagers also produce cooking oil for their home use from coconut and cohune nut trees. The main speaker at the official inauguration of the resource centre was be the Hon. Michael Hutchinson, Minister of State in the Ministry of Labour, Local Government and Rural Development and Area Representative for Belize Rural Central. Other speakers were representatives of the Gracie Rock Village Council and the Social Investment Fund. Press Release No. 19 - 2011: For further information please contact Mr Mike Hernandez Jr. J.P., Director of Public Relations, Social Investment Fund, Tel: 822-0239/0508; Fax 822-0279 or via email at mike.hernandez@sifbelize.org or Cell No. 634-4002.